Sharp metal edges on the back of the boards can become exposed while removing mounted boards, posing a laceration hazard. This recall involves eight styles of Quartet magnetic and dry erase boards, including calendar styles and combination boards with push pins. The boards were sold between January 2005 and December 2013, in eight sizes: 5 ½ x 14, 8 ½ x 11, 11 ½ x 11 ½, 11 x 17, 12 x 12, 14 x14, 17 x 17 and 17 x 23, and in various colors including white, silver, black, blue, green, pink, purple, grey and multicolor. The Quartet logo is printed on the bottom of the boards. Specific model numbers and instructions are also available from Quartet. With another year on its way in, it’s that time of year again! Presents to buy, calendars to gift…wait calendars? Yes, we all tend to forget about these helpful things until we start missing deadlines! Not good, so why not avoid that mistake and order your 2015 calendars now? With so many different types, styles, and brands of calendars out there, we at The Office Dealer are here to help you choose the best and most helpful ones! One of the most helpful kind of calendars is a desk calendar. You may forget to open your calendar or even look at it on your wall at times, so when you have your calendar already laid out on your desk, it makes it that much easier to stay on top of things! Which calendar brand you choose is important as well. Who says calendars have to be boring? Brownline‘s calendars are good quality and can come in multiple colors. For each desk calendar, page holders keep the corners from curling in ,and each date has space for notes pertaining to that particular day. Brownline’s calendar choices don’t end there! Their yearly wall calendar, displays all 12 months on a single page. These types of calendars are perfect for when you’re making appointments to be had in the future. House of Doolittle is perfect for those who want a bit more color and cheer added to their calendar. Select calendars have scenery backrounds either on the top of each page, or behind the entire calendar. At the bottom of each desk pad calendar, there are all 12 months printed in smaller form. Other choices for color calendars have just a faint tint of color. At-A-Glance is never one to be left behind! With an abundance of planners, registration, books and of course calendars, this brand has all different styling options. Visual write-on/wipe-off calendars are good for years to come!. The Office Dealer is equipped with appointment books and organizers for when you need to take your calendar with you out of the office. With organizer refills, time management organizers, and wall planners/organizers you’ll always have what you need to be prepared!Whether you want a down to earth black letter calendar or a lots of colors and/or scenery We’re sure you’ll find what you’re looking for here at The Office Dealer! The highly popular At-A-Glance Three-Year Long-Range Monthly Planner. Mead® Primary Journal Composition Books – On Sale! We’ve slashed the price of Mead Primary Journals just in time for you to stock up before school starts. Although these currently sell for $4.49 at Office Depot, we are selling them for an amazing $1.60 each! We have thousands in stock around the country and they will ship from our nearest warehouse to you. So stock up and save. Whether you are looking for high security, efficiency or simplicity, a good paper shredder is a vital tool in your home or office. Now the question is, how do you find the shredder that best fits your needs? Luckily for you, there’s no need to look further than the leading brands Fellowes and Swingline. Fellowes is known to be one of the most trustworthy names when it comes to shredding confidential documents. With innovative features that shred staples, credit cards, or even CDs, there’s no wonder that Fellowes high-powered machines are called “the world’s toughest shredders”. Fellowes shredders are known to be the most heavy duty shredding mechanisms available. They don’t only have commercial shredders though, you’ll find everything from small home office shredders to high capacity shredders in their line of products. Not only do Fellows shredders get the job done efficiently, but easily too. Fellows shredders come with 100% jam proof technology. Now unless we’re talking about raspberry preserves, no jams is a good thing! Swingline is another name that means trustworthy products. Like Fellowes, they offer a range of strip cut, cross cut, and micro cut shredders and thus can facilitate your particular needs. Swingline shredders are designed to help you protect confidential information, but now more conveniently than ever. Their new and revolutionary stack-and-shred machines work completely without your supervision and some can shred up to 500 pages at a time! Imagine. While your paper shredder is working on its own, you could practice your juggling, or play rock paper scissors with a coworker. The possibilities! Now that you are familiar with the brand names, the question is which shredder is right for you? If you need a simple shredder for your personal needs, Fellowes offers the MicroShred MS-450Cs Shredder. Some of its unique features are SilentShred™, which offers ultra-quiet performance for shared workspaces, and Patented SafeSense® Technology, which stops shredding when hands touch the paper opening. Swingline has the ShredMaster Personal SC170 Shredder with a convenient angled head design that eliminates the need to pull it out from under the desk. If you are looking for something for a small office, you can consider the Fellowes 3246001 MicroShred MS-460Cs Shredder. It can shred 10 sheets per pass into 5/64” x 5/16” micro-cut particles and is ideal for 1-5 users. Or the Swingline GSM128 Jam-free Shredder with jam-free technology, self clean capacity, and auto shutdown to reserve energy. If you need a high capacity shredder for a shared office space, printer/copier area or mailroom, take a look at Fellowes Powershred 425Ci Jam Proof Shredder which features extra-wide 16” paper entry plus continuous duty motor for non-stop shredding. Or consider the Swingline Stack-and-Shred Automatic Shredder that can automatically stacks of up to 500 papers. Fellows and Swingline carry high quality shredders from every price and capacity range. From low to high security protection, and from small to heavy duty shredders, you can find what you the shredder that fits your particular needs within the product range of one of these two top of the line brand names. It’s becoming an all too familiar tale, office supply chain stores overcharging institutional buyers. The days of long-term, poorly monitored, contracts need to end if institutional buyers are serious about reducing costs. As our customers know, we are on average 20-30% cheaper than the leading chain stores. One customer wrote yesterday saying that we were 75% cheaper for an item they were buying from Office Depot. I shudder to think how much more they would have been paying if they were also tied in to a contract. Palo Alto could have saved between $196,484 and $389,426 by more closely monitoring its multi-year office supplies contract with OfficeMax Inc. to ensure it was receiving “reasonably expected discounts at authorized prices,” according to a new audit released Wednesday evening. 4. Sit back and wait till Pi Day (you know when that is, right?). We’ll send one lucky person the writing implement of their choice. * By “writing implements” we basically mean pens, markers, highlighters and the like. But if you’re one of those funky pinter-etsy people who writes with clay, stickers, paperclips or whatever–go ahead, pin those. officesupplygeek gives the low-down on Cow Poop Notebooks. Get the scoop before you plop your money down on one of these ultra-green (brown?) PooPooPaper Notebooks. Wish we sold these. A great concept. The chair looks good and very functional alone but can also easily be moved for creating a shared workspace. 1. Casters lend mobility for quick, easy transitions between teaching modes. 2. Swivel seat keeps open sightlines between student and instructor, whiteboard, and other students. 3. Personal worksurface is adjustable, non-handed, and large enough to support digital and analog resources. 4. Base keeps backpacks and valuable personal belongings out of the aisle. 5. Flexible seat, without pneumatic adjustments to worry about, keeps students comfortable in a variety of postures. 6. Open seat design offers easy access, while arms serve as backpack hooks. 7. Comfort without upholstery means easy maintenance. 8. Steelcase warranty with elevated durability testing makes node an easy choice. 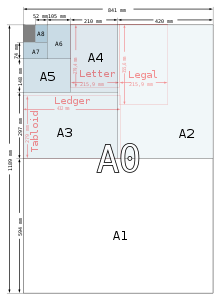 It may come as a surprise to many that the paper sizes we are all familiar with and use on a daily basis–legal, letter–are not universal. The most widespread international convention is ISO 216, with A4 paper being the most frequently used. The beauty of this standard is that in the A series, each is half the size of the next, measured along the largest dimension, creating a uniformity that is efficient for paper manufacturers and users.